YAMOTO 70 ATV COMES WITH A WIRELESS REMOTE CONTROL KILL SWITCH. This ATV is no longer available. Please see the XL 70cc ATV. 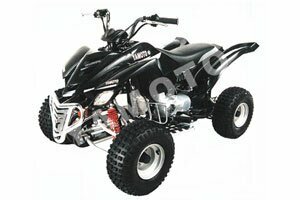 If you are ready to take the next step up Raceway ATV would like to show you are Yamoto 70cc ATV. Most kids start some were in an electric car. Then we get them something in the lines of a 50cc ATV. And now they have grown a little to big for that. So Yamoto has made an ATV just to fit your needs. The Yamoto 70cc ATV. We will not spend to much time talking about its looks. The Yamoto 70cc ATV's looks speak for themselves. From the great looking plastics to the safe and stylish nerf bars right below the foot begs. 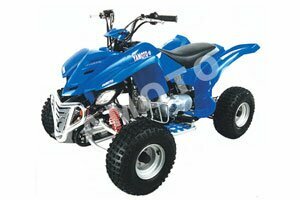 The Yamoto 70cc ATV is a fully automatic 4 stroke ATV with a great built engine. This Honda style knock off engine has been around for years, and is still going. It has won are confidence at Raceway ATV. That's why we have no problem give are customers a 6 month front to back warranty on the Yamoto 70cc ATV. The Yamoto 70 also is shift driven. There are a lot of shift driven fans out there so Yamoto has built this ATV for you. Another attractive option on the Yamoto 70cc ATV is it's remote control kill switch. 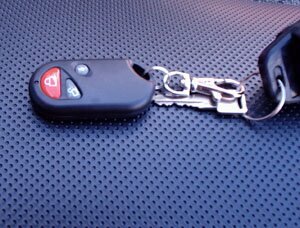 This remote control works just like a car alarm. Just press the button and it will automatically kill the power to the engine on your Yamoto 70. Look out kids, there is no getting away now. This safety feature is a real great options for all of you parents that would like control from the push of a button. The Yamoto 70cc ATV also has a speed limiter screw located on the opposite side of the throttle. Just adjust this screw and this allows the Yamoto 70 to go faster or slower. The Yamoto 70's top speed is about 35 mph. To get a better idea of the size of the Yamoto 70cc ATV Raceway has taken a measurement from the ground to the top of the seat. And that measurement is 24.4' The Yamoto 70cc ATV is available in 5 beautiful colors, Yamoto red, Yamoto green, Yamoto yellow, Yamoto black and Yamoto blue. The Yamoto 70 also has optional different color fronts. Please call or email us for those options. The 2005 Yamoto 70cc ATV now has a front A-Arm suspension. This was a real great change that Yamoto has made on this 70cc model. This change has given the Yamoto 70 a much more comfortable and better ride to it and has made the handling of the bike 100% better. The Yamoto 70 is a great durable ATV. This bike is really built to last. For a 70cc ATV this unit is a great buy. And the price is unbeatable. 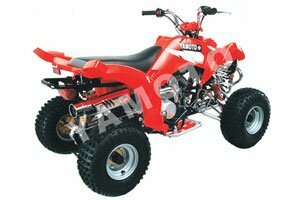 For the price you cannot go wrong with the Yamoto 70cc ATV. Yamoto offers a great warranty that we at Raceway ATV support. This warranty is 6 months front to back like any major brand company offers. We have over ten year experience in the Motorcycle and ATV industry. Not only selling ATV's but servicing them and riding. Don't be fooled by other online ATV dealers that have no experience in this field what's so ever. With are experience we can offer you technical support over the phone to help you with almost any question or problem you may have. Raceway ATV knows there is a lot more to a sale then just the purchase. Raceway ATV has earned it's reputations for are professional staff and by standing behind every product that we sell. If you give us the chance we will show and prove to you why everyone is saying we are the best online ATV and dirt bike dealer around. 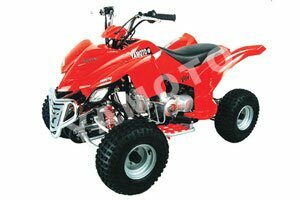 Raceway ATV is an authorized Redcat Kazuma and Yamoto dealer. We at Raceway ATV suggest that you take the time to do the proper research on any company before you buy something from them. It is better to be safe then sorry. We invite anyone to do that same research on are company. We are confident that you will be happy with the results. 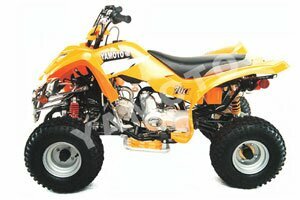 Size L x W x H 61" x 35" x 35"
Buy Your Yamoto 70cc ATV From The Best!